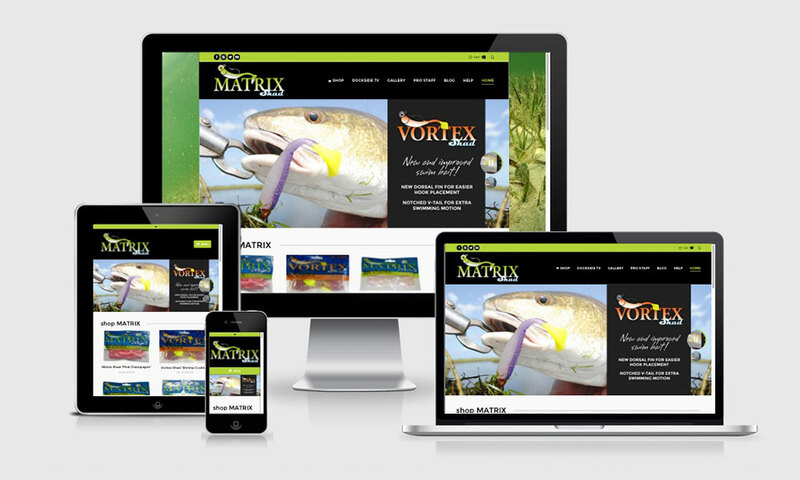 Matrix Shad produces several lines of soft baits, lures and terminal tackle including Matrix Shad, Vortex Shad, Matrix Craw, Matrix Mullet, and more. We worked with this client to produce an attractive and functional ecommerce website that also includes a pro-staff directory, dealer locator, heavy promotion of the Dockside TV brand ambassador video channel and a Tag-to-Win contest. Hosting, ongoing maintenance, and image editing rounded out the project.